The number of drivers who report using a cellphone behind the wheel has jumped 30 percent since 2013. Nearly half (49 percent) of drivers report recently talking on a hand-held phone while driving and nearly 35 percent have sent a text or email. 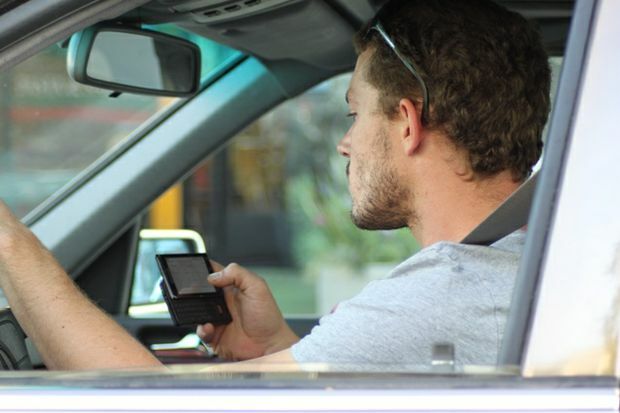 Despite their behavior, nearly 58 percent of drivers say talking on a cellphone behind the wheel is a very serious threat to their personal safety, while 78 percent believe that texting is a significant danger. A recent study from the AAA Foundation shows drivers talking on a cellphone are up to four times as likely to crash while those who text are up to eight times as likely to be involved in a crash. Drivers in the AAA survey believe the problem of distracted driving has increased over the past three years, with nearly 50 percent reporting that they regularly see drivers emailing or texting while driving. Counterintuitively, federal estimates show the number of distracted driving crashes has dropped two percent. This may be because it is difficult to detect distraction following a crash which makes distracted driving one of the most underreported traffic safety issues. “According to past AAA Foundation research, distraction played a roll in 58 percent of crashes with teen drivers which is 44 percent more than federal estimates,” continued Podguski. According to the National Highway Traffic Safety Administration (NHTSA), more than 37,000 people were killed on U.S. roads in 2016. As the number of distractions behind the wheel increases, drivers may find themselves more tempted now to engage in distracted driving than ever. Any level of risk is too high when it comes to safe driving, and tasks that require a driver to take their eyes or attention off the road should be avoided while the vehicle is in motion- including the use of cellphones, infotainment systems, or navigation systems.